These works are small wearable shrines - miniature versions of my larger mixed media assemblage constructions. Exploring themes from myth, symbolism and religion, the pieces incorporate found objects and/or images carefully selected from many world cultures. Some are suitable for use in meditation or as objects of reflection. 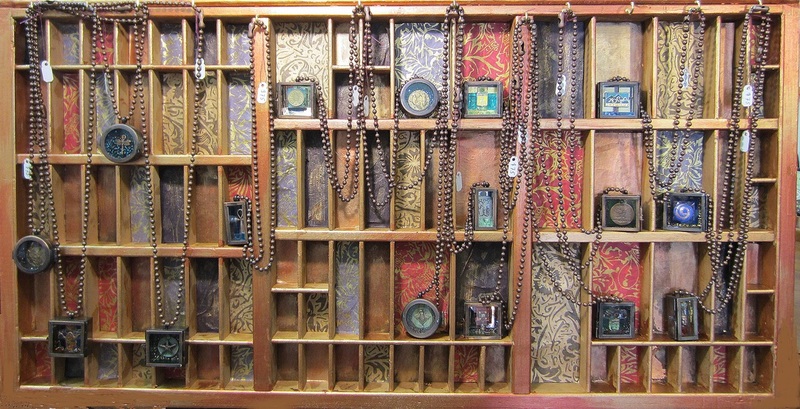 Because of the singular nature of the found objects, each of the Reliquaries is unique. In size they measure approximately .5" deep and 1.5 " x 1.5' for the square Reliquaries, 1" x 2" for the rectangular Reliquaries, and 1.5" in diameter for the round Reliquaries. 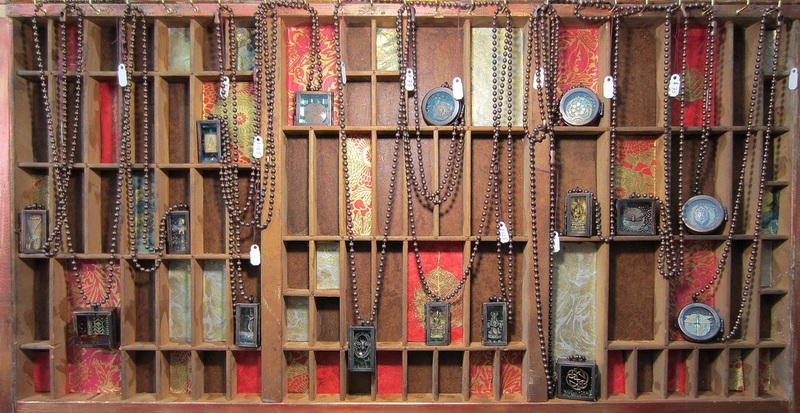 All Reliquaries come on a 28" antiqued copper ball chain unless otherwise noted. ( I can also cut the chain to any length on request.) These works are not meant to be opened having been sealed upon completion. Custom design of Reliquaries containing objects of personal significance is also available. For information on purchase of the Reliquaries shown here, or for information on custom design options, please use the contact form on the home page.